James works as a supervisor in a paint shop in regional Queensland. He is embarrassed writing anything, as he says “my literacy lets me down”. James has wanted to improve his reading and writing his whole life and recently took a step towards that by calling the Reading Writing Hotline. The Hotline is a national telephone referral service for adults who want to improve their literacy, numeracy and computing skills. James rang the Hotline and after discussing study options with one of the teachers, he decided to start with some online resources and then join a local literacy class to help with his workplace writing. The Hotline receives calls from employers and community workers as well as individuals like James. It celebrated twenty years of service in 2014 and has responded to over 150,000 calls. Our experienced and understanding teachers give advice and direct callers to the most suitable course provider, online resources and services. We have a large database to draw on, covering accredited and non-accredited courses including basic literacy, workplace and study preparation, and English as second language courses. As services are constantly changing, and training is offered in new and different situations, the Hotline welcomes updates, suggestions and new requests for inclusion on the database. Call 1300 6 555 06 or visit the website. The Hotline is funded by the Australian Government Department of Education and Training and managed by TAFE NSW – Sydney Institute. Industry Reference Committees (IRCs) advise the Australian Industry and Skills Committee (AISC) on changing skills needs in their industry and the priorities for the review and update of Vocational Education and Training (VET) qualifications. It is important that each IRC is broadly representative of its industry sector and undertakes extensive consultation to ensure their work represents a whole-of-industry view. The AISC is progressively reviewing the structure and membership of each IRC and is keen to hear your views about the IRC that is best placed to represent your industry. You can register via the AISC website to receive updates on the progress of the review of a particular IRC. There are a number of ways you can participate in the review of your IRC. As each IRC is reviewed, a draft structure is published for comment on the AISC website. This will ensure that the structure will best represent the needs of that industry – that the right organisations and expertise are included. Once feedback on the structure is considered, the AISC will make a public call for nominations to fill IRC positions. This will ensure that the best people are appointed to these committees. The AISC welcomes your involvement in the establishment of your IRC. The right IRC will give your industry a strong voice in the training of your future workforce. Currently, the proposed structure for the Aboriginal and Torres Strait Islander Health Worker IRC was open for comments to 8 July 2016 and the proposed structure for the Financial Services IRC is open for comments to 25 July 2016. The Schedule for this early stage of work will be published on the AISC’s website shortly. Concurrently, IRCs are developing their four-year workplans which will include an industry-level analysis of the opportunities and challenges for their workforce and recommendations about when the relevant training products should be reviewed and, if necessary, updated. These workplans will also provide advice about any new skills needs that are expected to arise in their industry into the future. Priority work identified through this process will be added to the National Schedule and will be progressed by the relevant IRC. Information on how to be part of this new consultative approach, through the IRCs, is available on the AISC website. Show your students what vocational education and training has to offer at the 2016 WorldSkills Australia National Competition from 6 - 8 October at the Melbourne Showgrounds. Witness greatness: Watch Australia's best young tradies showdown in 52 skills - including auto, cooking, engineering, fashion and many more! Realise potential: Join the fun! Students can try their hand at a range of Try’aSkill activities like decorating cupcakes and disassembling a real engine component. Register your school group or visit the WorldSkills website. The Board of Directors of WorldSkills Australia has announced the appointment of Mr Brett Judd as the new Chief Executive Officer of WorldSkills Australia. Mr Judd brings over 20 years of executive sales and marketing, operational, technology and general management experience both in Australia and overseas and has worked with a number of government and non-government clients to deliver more than 250 events. The USI Office ran a series of 16 face-to-face interactive workshops with training providers in all capital cities during the months of May and June. Approximately 480 participants from 350 training providers attended from across the country and were presented with useful information on new functions, the upcoming USI Transcript Service and major USI system upgrades, as well as useful business process insights. Training providers also had the opportunity to participate in discussion sessions, provide suggestions for improvements and have their questions answered by staff members of the USI Office. If you were not able to attend one of our workshops, but would like to know more, copies of the workshop presentations are now available on our website. The USI Office will also be hosting a webinar series for training providers who were unable to attend the face to face workshops. Stay tuned; more information on this coming soon. For more on USI, visit our website. As from 1 July 2016, Smart and Skilled fee-free scholarships are being extended to people experiencing domestic or family violence. This measure is an extension of the Fee-Free Scholarship Program for Smart and Skilled to help people across New South Wales gain financial independence and stability. Further information is available on the Smart and Skilled website. Develop your learners' management skills with resources that include extras such as assessment task mapping, session plans, templates and case studies. IBSA has resources to suit any delivery style and provides everything an RTO will need to customise training for their students such as print-based workbooks (including self-print options), digital trainer guides and e-Learning solutions. IBSA’s extensive range of Learning and Assessment resources offers full coverage of both the BSB42015 Certificate IV in Leadership and Management and the BSB51915 Diploma of Leadership and Management qualifications. IBSA offers samples of every product and gives the opportunity to see firsthand how their resources can work. Check out a sample of the workbook for core unit BSBLDR502 Lead and manage effective workplace relationships. Download information flyers for each qualification from the IBSA website or go straight to the IBSA Store. Designed by SkillsDMC, a global leader in the design and validation of competency standards across the resources and infrastructure industry worldwide, SkillsMAXsolution offers access to the Global Competency Framework, Industry-defined competency standards for safe and productive work wherever there is extractives and civil infrastructure activity. • Worker database – identify and track your workforces’ skills. Find out more about SkillsMAXsolution or contact SkillsDMC. CPSISC is now trading as Skills Oz and is committed to supporting industry to advance education and training, support employment and skills development, and contribute to high quality training products and services. The Skills Oz Environmental Scan (E-Scan) 2016-17 was recently launched and is available as a whole publication, or in chapter downloads. Find out more in the June Newsletter or on the Skills Oz website. Skills development is a primary means of enabling young people to make a smooth transition to work. In 2014, the United Nations General Assembly adopted a resolution declaring 15 July as World Youth Skills Day. UK Secretary-General, Ban Ki-moon, said that skills development better equips young people to find decent jobs and triggers a process of empowerment and self-esteem that benefits everyone. This July, read about three young Australians who have undertaken an Australian School-based Apprenticeship, participated in the 2015 Australian Training Awards and are now Australian Apprenticeships Ambassadors. 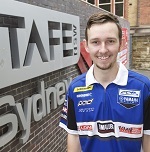 Brenden Williamson was offered the motorcycle mechanic apprenticeship he dreamt of after winning a competition in the Yamaha Student Grand Prix. He didn’t want to drop out of school, but an Australian School-based Apprenticeship (ASbA) enabled him to start the apprenticeship, earn a bit of money and also let him finish Year 12. With his teachers’ support, Brenden travelled the three hour round trip to attend his workplace in Campbelltown plus an hour each way to TAFE NSW. Brenden also contributed his time at expos and schools, promoting the value of ASbAs to students. Now in the second year of his full apprenticeship in Certificate III in Motorcycle Mechanical Technology, he would eventually like to make custom made motorcycles. In 2015 Brenden won the Australian School-based Apprentice of the Year Award at the Australian Training Awards and was appointed an Australian Apprenticeships Ambassador, a role he's already been performing unofficially. Read more of Brenden’s story. Hana Chapman-Speering encourages every school student to consider doing an ASbA, no matter what their career plans are. Doing work experience in an aged-care home, Hana decided she’d like to try that career path, so she completed her Certificate III in Aged Care during Years 11 and 12 through an Australian School-based Apprenticeship (ASbA). Being able to spread her study over the course of the apprenticeship made the work load very manageable. Keen for as many work experiences as possible, Hana changed jobs and is currently a security officer at the Australian War Memorial in Canberra. To support this role, she is studying a Diploma of Justice Studies for a basic understanding of the application of legislation as well as skills in interviewing and gathering information. 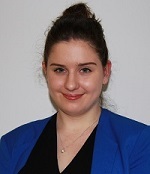 In 2015, Hana won the ACT’s Australian School-based Apprentice of the Year Award, was runner up for the national award in the Australian Training Awards and was appointed an Australian Apprenticeships Ambassador for the Australian Government. Thalia Wilkinson assumed she’d head for university after school but interest in workplace learning, which gives students the work experience they need once they finish school, led her to an Australian Apprenticeship and countless career options. Thalia was interested in studying electrical engineering or robotics and automation at university so decided to try an electrical course through an Australian School-based Apprenticeship (ASbA). She is now an apprentice in Certificate III in Electrotechnology Electrician with Collins Electrical in Perth and thanks to her ASbA is hoping to finish her apprenticeship a year early. At 18, Thalia already has a Certificate IV in Workplace Health and Safety and encourages others to consider an apprenticeship. In 2015 she won Western Australia’s Australian School-based Apprentice of the Year, was a finalist in the Australian Training Awards and was appointed an Australian Apprenticeships Ambassador for the Australian Government. Read the Conference Programme for more information or register online. Velg Training provides a range of Vocational Education and Training (VET) professional development and consulting services. Go to their website for details about Mentoring Mondays, Live Streams, Webinars and Workshops. ACPET, a national provider of professional development training, is recognised for promoting excellence in education by providing high-quality PD programs. View upcoming webinars and workshops on the ACPET website. To register or to purchase a recording, please contact the PD team at pd@acpet.edu.au or call (03) 9412 5900.
eWorks has a strong foundation in servicing the National VET system, government organisations and the corporate sector, and prides itself on delivering high-quality and reliable online delivery solutions. Online assessment validation tools and VET. If you would like to provide feedback, supply an article for inclusion in the next edition or join our list of subscribers, please email skillsatwork@education.gov.au. The next edition will be published in August 2016. Submissions are due by Friday 15 July 2016.